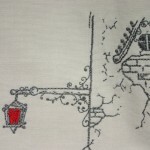 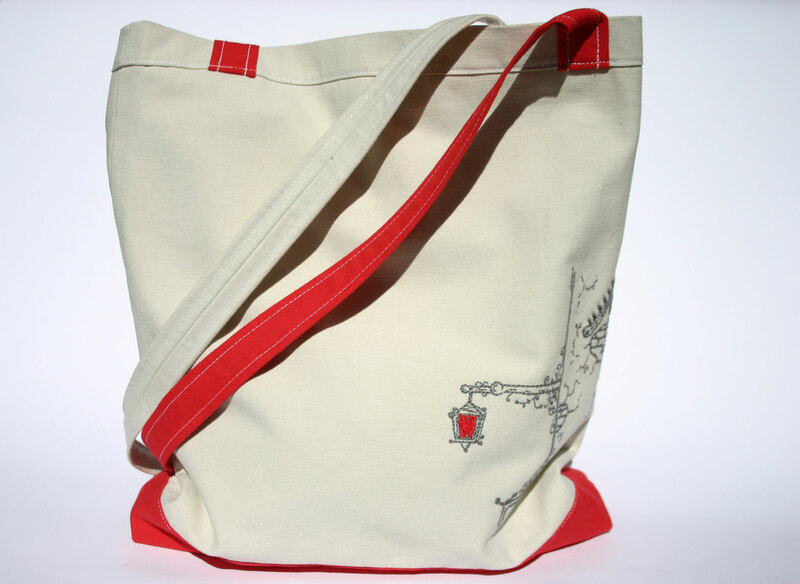 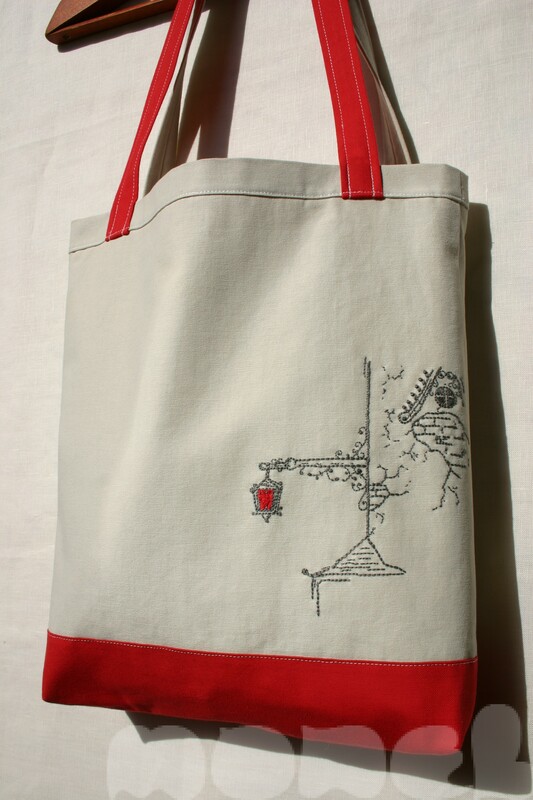 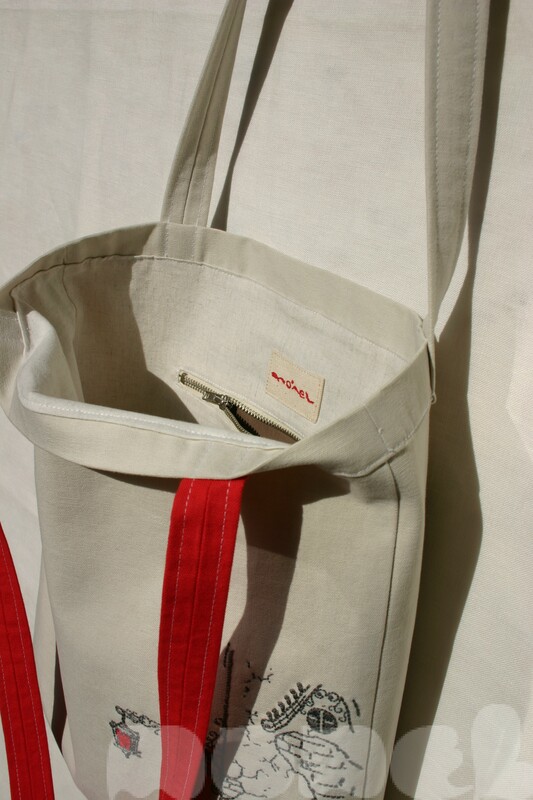 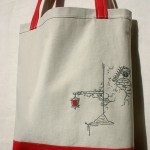 tote bag made from whitish and red cotton. 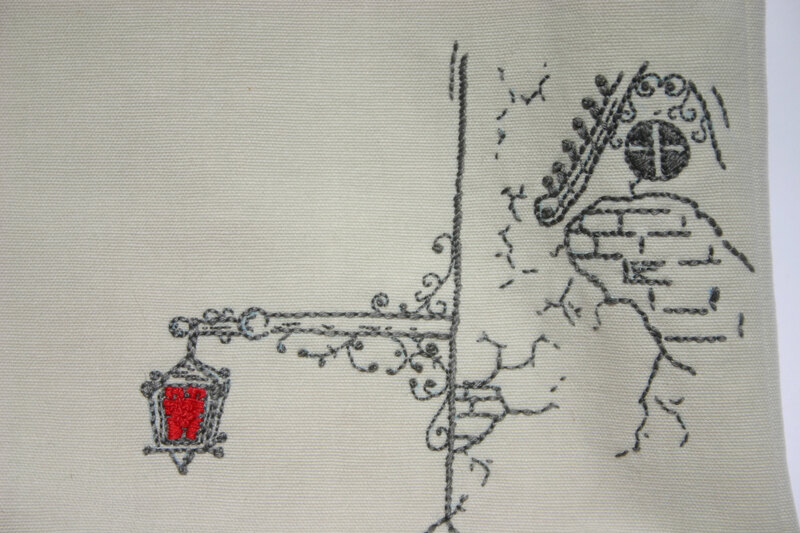 hand embroidered with grey cotton yard. 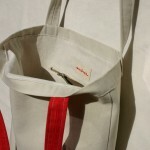 whitish cotton lining. 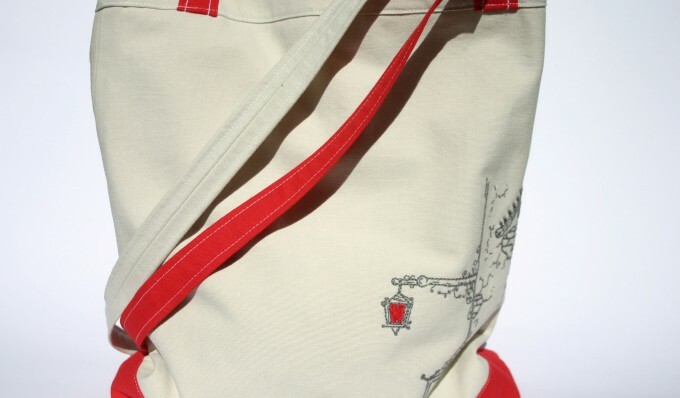 has a zippered pocket inside. 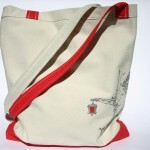 size: 34 cm wide, 36 cm tall, shoulder straps 35 cm.